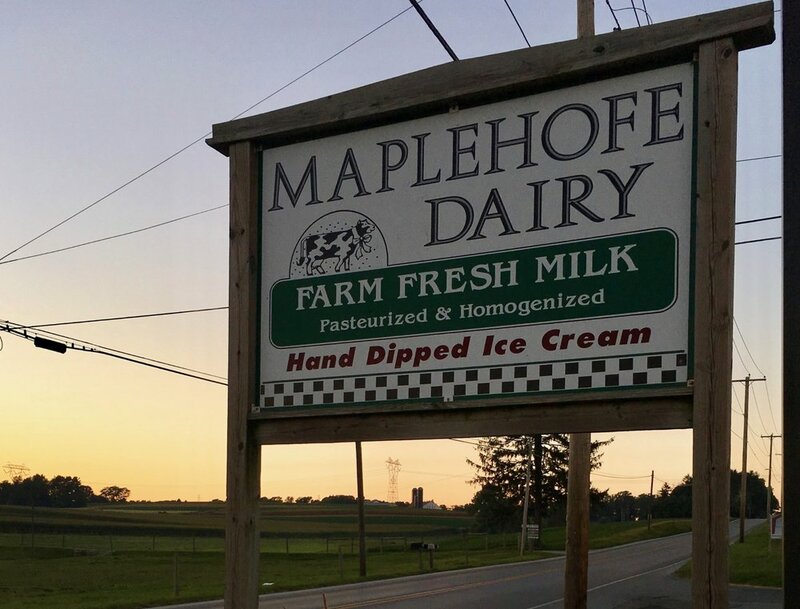 Thank you for visiting Maplehofe Dairy online! All of our milk is free of any added rBST growth hormone and is available in both plastic and exchangeable glass bottles . Our Holstein cows feed on our harvested homegrown crops ensuring the best nutritional intake. You can choose from our regular milk (whole, 2%, creamline and skim), as well as our flavored varieties: chocolate, strawberry, vanilla, blueberry, and orange cream milk. We also process our own cream and buttermilk. We are very thankful for all our loyal customers from Lancaster County and beyond!